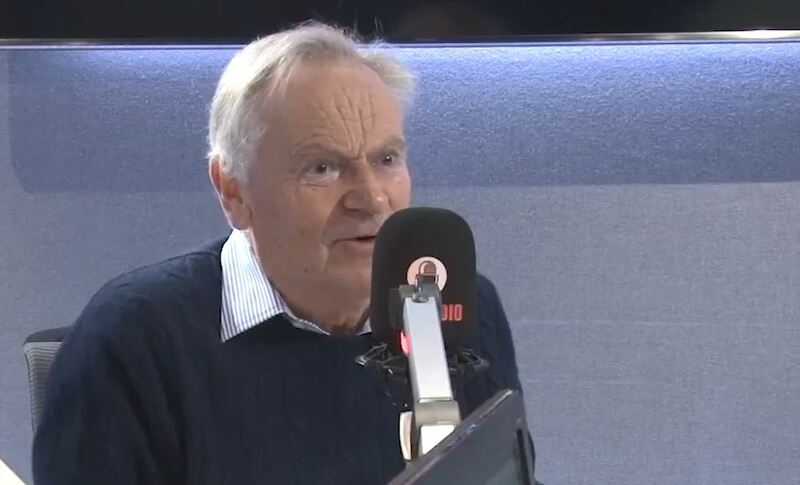 Lord Jeffrey Archer has said that he thinks the Conservatives could lose the next election because 'we [the party] are tearing ourselves apart'. Joining Julia Hartley-Brewer to discuss his new novel Heads You Win, about a young Russian given the chance to escape the country after his father is killed by the KGB, the topic turned onto Conservative party leadership and Brexit. He also said he thought Theresa May should "stand again" for election and that her Brexit deal would make it through Parliament. "I don't see anyone shooting out from under the floorboards saying 'she's got to go'," he said. On the prospect of a Jeremy Corbyn government, Lord Archer said: "I don't think Jeremy Corbyn can win an election, but I think the Conservatives can lose it. "It shocks me that the Conservatives are 4% ahead in the polls... we're tearing ourselves apart in the most unseemly way day after day." Lord Archer reminisced about his own time in parliament as the deputy chairman of the Conservative party, and how he initially voted for the UK to join the European bloc. “I’m one of those people alive today who actually voted as a young MP to go into Europe,” said Lord Archer. In 1975, the UK held a referendum on whether to remain in what was then called the European Community, with support overwhelmingly to remain. “This was a divisive issue even in 1975,” remarked Hartley-Brewer. “For the Conservative party it’s been a divisive issue ever since,” Lord Archer replied. When asked how he thought the current Brexit situation would end up, Lord Archer said: “One, I think she will get a deal, two, I think she’ll bring it to the House of Commons, and three, I think she’ll get it through the House of Commons, and because of that she will initially survive. He also spoke about how the referendum had even caused friction between him and his wife. “I voted to Remain, Mary voted to leave, I thought Remain was going to win,” he said. “I was in the Westminster bubble, didn’t know what I was talking about.